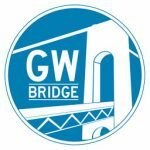 Construction on the George Washington Bridge, at and near the GWB Bus Station, will force the overnight closures of all eastbound lanes of the GWB from October 12 through October 14, 2016, the Port Authority of New York and New Jersey has announced. Westbound lanes will also be affected, and through October 15. However, some traffic leaving New York will be permitted on the lower levels. The eastbound closures begin at 9 p.m. tonight and Thursday, and will be lifted by 5 a.m. The Friday night closures will begin at 10 p.m. and be lifted Saturday morning at 8 a.m. Moreover, the Friday night closure will include the eastbound lower expressway, the Port Authority announced on its website. The expressway will close at midnight Friday and reopen Saturday morning at 5 a.m.
Officials also announced lane restrictions on the eastbound lower-level exit to Hudson Parkway (Route 9A) and Riverside Drive, but the exit will be open. The westbound lower expressway lanes will also be impacted; however, some lanes will remain open during overnight construction work. Westbound lane restrictions Wednesday and Thursday night will begin at 10 p.m. and end the following morning at 5. The Friday and Saturday night restrictions will be in effect from midnight to 8 a.m. the following day. The Port Authority is already warning of significant delays as a result of the restrictions. A breakdown of the closures is shown below. Wednesday, October 12, from 9 p.m. to 5 a.m. Thu. Thursday, October 13, from 9 p.m. to 5 a.m. Fri.
Friday, October 14, from 10 p.m. until 8 a.m. Sat. Friday, October 14, from 11:59 p.m. until 5 a.m. Sat. Thursday, October 14, from 11 p.m. until 5 a.m. Fri.
Firday, October 15, from 11:59 p.m. until 8 a.m. Sat. Saturday, October 15, from 10 p.m. until 8 a.m. Sun.